I won't lie, I haven't been getting dressed up much around here. I'm far too tired and there's far too much snow. Today's outfit offers both the casual comfort and it's on trend... perfect, right?! Truth be told, I've worn the casual side more times than I can count, and yet, haven't managed to take a picture (figures). i tend to wear this. 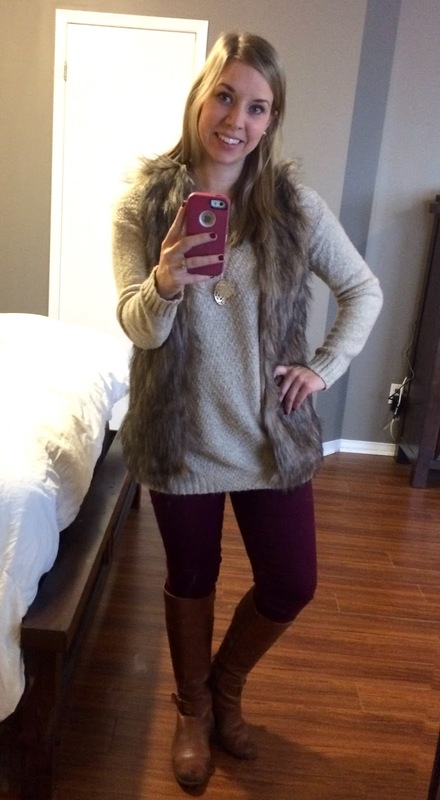 super casual with the quilted vest and snow boot but I do love the fur vest and with tall brown boots.